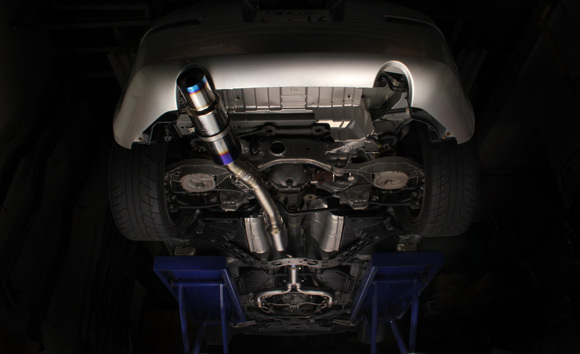 Tomei Expreme Titanium Y-Pipe Back Exhaust System - Nissan 350Z Z33 - IN STOCK!!! Automatically receive $50.00 in Rewards Rebates when your order ships! Unlike most exhaust systems that focus only on maximum peak power, Tomei's main priority was for overall engine performance gains. Every tube's length and size were carefully picked to suit each engine's characteristics and chassis to maximize torque, response and exhaust flow efficiency from start to finish. The use of Titanium materials with the single piping layout reduce the overall weight from approx. 45 pounds to an ultra-low 10 pounds. Exhaust flow design was the main focus in the pipe design, the best pipe thickness for weight and strength with pipe diameter to suit torque and all power gains throughout the entire power band.